Irene’s Lodge was a bed and breakfast in Kenai, Alaska. They recently sold their business so this website may no longer exist. 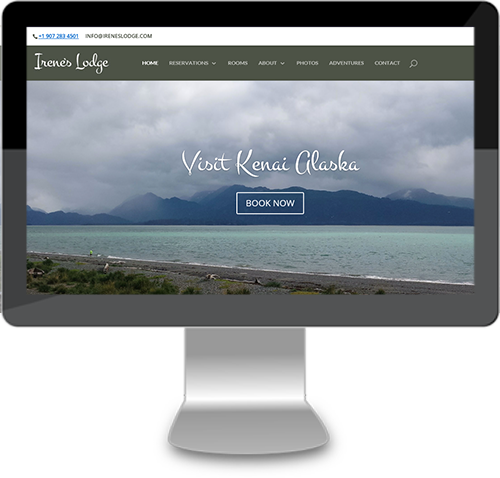 For Irene’s Lodge, we created a custom responsive wordpress from a pre-made template, the Divi theme.